The life sciences industry may be limiting its options if safety takes a back seat to efficacy in trial design and product development. In the interests of innovation and commercial advantage, it is time to think outside the box, says Cheryl Key. In the highly-regulated life sciences industry, the temptation to use targeted projects and narrow role definition is considerable in order to meet regulators’ compliance expectations. But this means the value of the data may be limited if it is too prescriptive, and the organisation’s expertise may not be leveraged to its full capacity. That can be costly, in terms of both lost opportunity and the effort to meet each new requirement, which can result in its own new, and sometimes duplicative, sets of tasks, system capabilities, and data. In the context of pharmacovigilance, a big picture approach to safety from the outset shows that risk and benefit should be viewed as two sides of the same coin. Data on adverse reactions, interactions and adverse events, medication errors, and off-label use that are collected in the post-authorisation phase can also provide market feedback about the ways drugs and other medical products are being used and experienced in the real world and, potentially, how products could be enhanced for safety reasons. In a sense, that’s the purpose of a risk management plan but, too often, such a plan is considered an obligation, rather than a useful tool that can expand and improve a product’s utility. Opportunities to gather real-world insights are further expanded by the emergence of social listening, which can enable companies to become more patient centric by tapping into patient-reported outcomes and patients’ subjective evaluations of products. Tolerance of risk varies by context and perceived benefit, and thus a patient with a life-threatening condition is typically more willing to accept more risk than someone purchasing an over-the-counter medicine. Therefore, understanding, from the patient’s perspective, what is important and what is unacceptable is increasingly valid. It is not a simple equation. And all of this is driving demand for more real-world evidence as a demonstration of the effects of a drug: its side-effect profile and its longer-term risks and implications. If the process is managed systematically, with this wider purpose in mind, the associated knowledge could be an important and commercially advantageous source of insight for research and development teams charged with improving existing products, developing safer or better-tolerated versions of competitor products, or thinking up innovative new ones. Pharma companies are under growing pressure to demonstrate the risk-benefit balance of each of their products. Safety must play a more strategic role – and far earlier in the development process: even to the point of defining how a drug’s safety profile can benefit the bottom line as a brand differentiator. Clearly, safety can be a differentiator against comparable or rival products: if you can’t be better, be safer. Knowing the side-effect profiles of competitors’ products and proactively observing and measuring the differences throughout the development cycle offers the potential for commercial advantage when it comes to finally submitting the Marketing Authorisation Application and bringing a medicine to market. The Cleveland Clinic, a non-profit multi-speciality academic medical centre, recently published the results of an extensive study that set out to deliver just that in its ascertainment of the effect of excess cardiovascular risk associated with the long-term use of Celebrex (celecoxib), Pfizer’s anti-inflammatory drug for treating such conditions as arthritis. The 10-year PRECISION trial, which Pfizer funded and designed, compared the safety of COX-2 inhibitor celecoxib (Celebrex) with nonsteroidal anti-inflammatory drugs ibuprofen and naproxen. More than 24,000 patients with osteoarthritis and rheumatoid arthritis were monitored during the study period, and the study found no discernible difference with regard to cardiovascular safety – a risk that had previously led to the direct or indirect withdrawal of all other COX-2 inhibitors. Safety differentiation also offers a powerful benefit in the treatment of rare diseases. Biogen recently gained approval for its first product for an orphan indication (nusinersen as a treatment for spinal muscular atrophy) because the drug’s safety profile was better than that of the product that had been approved earlier, thereby leading to a superior risk-benefit profile.2 And Amicus Therapeutics has been granted approval for an oral drug, Galafold, for treating Fabry disease.3 The drug was found to be easier to tolerate and to have fewer side effects compared with already approved and marketed IV treatments. But it’s not just about me-too differentiators. The focus on safety is especially pronounced in oncology, where companies are increasingly seeking to target tumours directly via ‘smart bomb’ treatments. The morbidity and mortality associated with cancer treatments have been huge hurdles to successful treatment and have helped drive innovations in parallel with the need for better efficacy. Meanwhile, the known limitations of warfarin, such as side effects and contraindications, have led to the development of many new treatments that match warfarin’s effectiveness but ameliorate and, in some cases, eliminate many of the disadvantages associated with it. New developments are low-molecular-weight heparins and novel oral anticoagulant drugs, which have significantly improved safety profiles. Bringing a medical product to market is just part of the equation, of course; the other is getting reimbursement for it. Pharmacoeconomics is bringing pharmacovigilance leaders into the discussion. 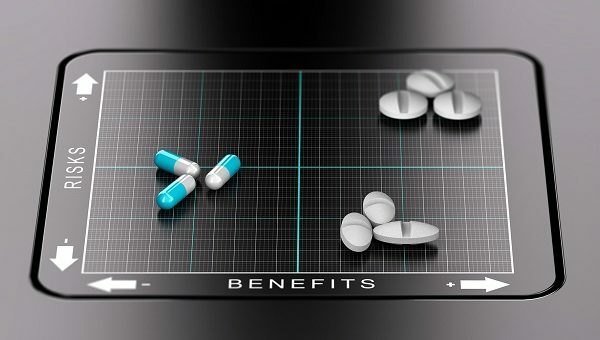 Rather than trying to gather data at a later stage, having data incorporated into a drug’s development plan both supports a company’s claim for reimbursement and adds value. Safety data that address cost-effectiveness; reduced morbidity, mortality, and consequent cost to the health-care system, and improved tolerability, enhance a medicine’s overall profile in the eyes of decision makers and facilitate discussions with competent authorities (including insurers in the US) on the drug’s pricing. Finally, pharmacovigilance and safety are likely to assume more prominent roles in strategic decision making about acquisitions – whether acquisitions of products or whole companies, thereby helping to value those propositions based on their safety and risk-benefit profiles – as organisations realise their exposure to risk if they don’t fully assess those factors from the outset. Safety has always played an integral role in the development of a product, in the assessment of endpoints, and in the safeguarding of patients in clinical trials. But today safety is demonstrating its commercial value in the development process, and progressive companies are taking note – and taking advantage – of the insights. Wood, S. No CV Safety Differences for COX-2 Inhibitor vs Other NSAIDs in PRECISION. TCTMD. 13 November 2016. 2. Biogen’s Regulatory Applications for Nusinersen as a Treatment for Spinal Muscular Atrophy Accepted by FDA and EMA. Biogen press release, 28 October 2016. 3. McKee, S. NICE backs Amicus’ Galafold for Fabry disease. PharmaTimes, 4 January 2017. Cheryl Key, MBBS, MFPM is head of pharmacovigilance/principal medic at ProductLife Group. Cheryl has more than 16 years of drug safety experience, working in pharmaceutical and biotech companies, for CROs, and for regulatory authorities. Before this, she spent several years in medical practice in hospital and primary care. 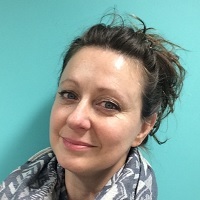 She has a medical degree from Charing Cross and Westminster Medical School, Membership of the Royal College of General Practitioners (MRCGP), a diploma in pharmaceutical medicine and Membership of the Faculty of Pharmaceutical Medicine (MFPM), as well as being on the Specialist Register at the General Medical Council for Pharmaceutical Medicine. She is also a member of the Board for the Faculty of Pharmaceutical Medicine.